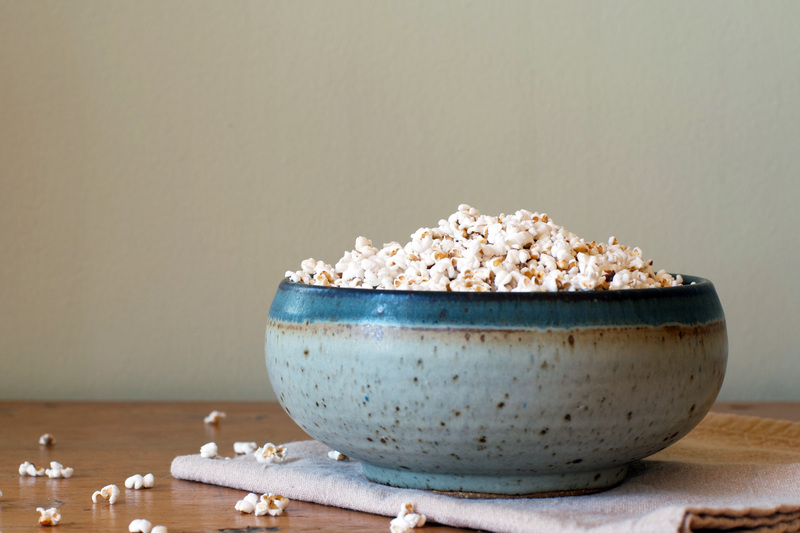 Learn how to make popped sorghum with this simple tutorial. 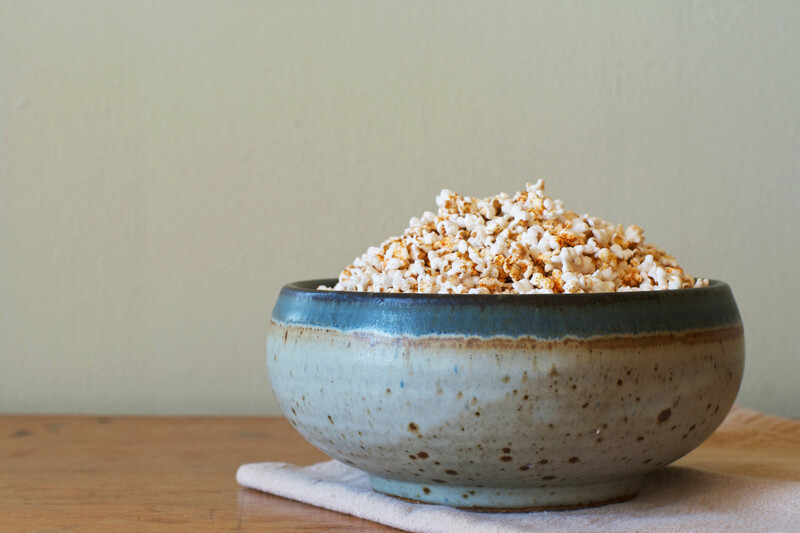 Then put the tiny popped kernels to use in this simple, yet incredibly flavorful spiced snack recipe. Sorghum is one of those grains that’s often overlooked, but I envision a future — much like quinoa’s — that’s very bright. A powerhouse in the whole-grain world, sorghum is a good source of dietary fiber and iron in addition to various vitamins and minerals. It’s similar in size to Israeli couscous and can be used in place of it in most recipes. It’s a hearty gluten-free grain, which makes it a great alternative for barley or farro and takes about an hour to cook. 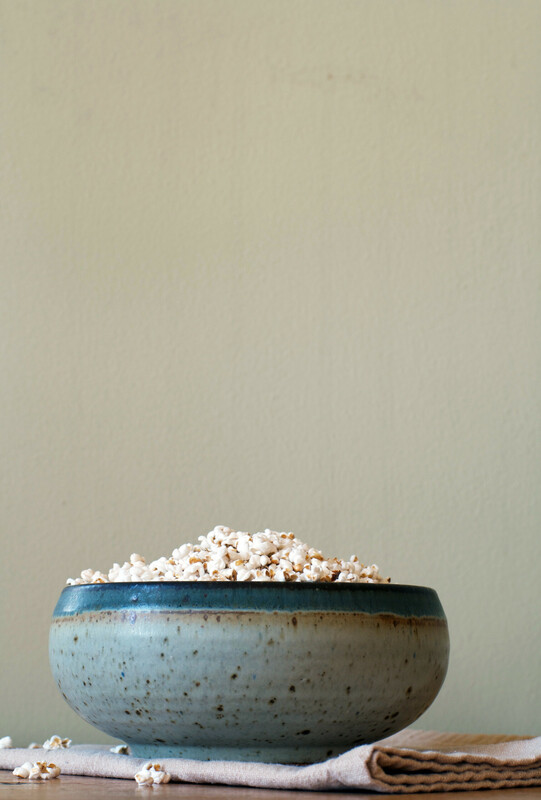 Nutty with just a touch of sweetness, sorghum is incredibly versatile in the kitchen. Historically, sorghum has most notably been used for livestock feed but it offers so much to a home cook as well. Check out some ideas below. Sorghum flour – use it as an addition or replacement for whole-wheat flour in baked goods. Such as this Whole-Wheat Pear & Fennel Quick Bread. Sorghum syrup – use as a sweetener in recipes like you would with honey or maple syrup. Like these Honey Roasted Figs or this Grapefruit Cardamom Vinaigrette. Cooked sorghum – use in a pilaf or grain salad, such as this Herbed Farro Salad or this Grilled Vegetable Salad. 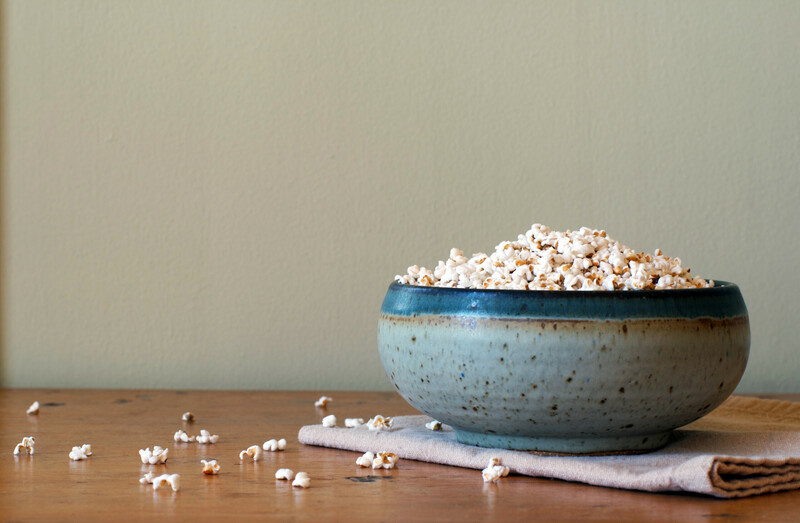 Popped sorghum or “Sorghum Popcorn” – a great snack, other than a difference in size, it’s almost identical to popcorn. Want more sorghum? Check out these sorghum recipes from Zestful Kitchen! For standard cooking, combine 3 cups water with 1 cup dry sorghum in a pot and bring to a boil. Reduce heat to low, cover, and simmer for 50–60 minutes until soft and chewy. Makes about 2½ cups. So you can probably tell by now that my favorite way to enjoy sorghum is popped. Yes, popped. It’s nearly identical to popcorn in taste and texture and is about ⅓–½ the size of a popped kernel of corn. Also known as jowar dhani, popped sorghum is a popular snack in India. It’s fun, it’s different, and it’s cute, so I’m on board. This recipe tosses the popped sorghum with a mixture of spices that just might remind you of Dorito dust. Looking at the list of spices may not convince you, but trust me, it’s magical. The particular spice mix used here is inspired by a similar version my sister makes for popcorn. The most important part is the nutritional yeast, it adds that signature “cheesy” flavor. 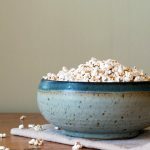 This sorghum “popcorn” is a fun alternative to classic popcorn. 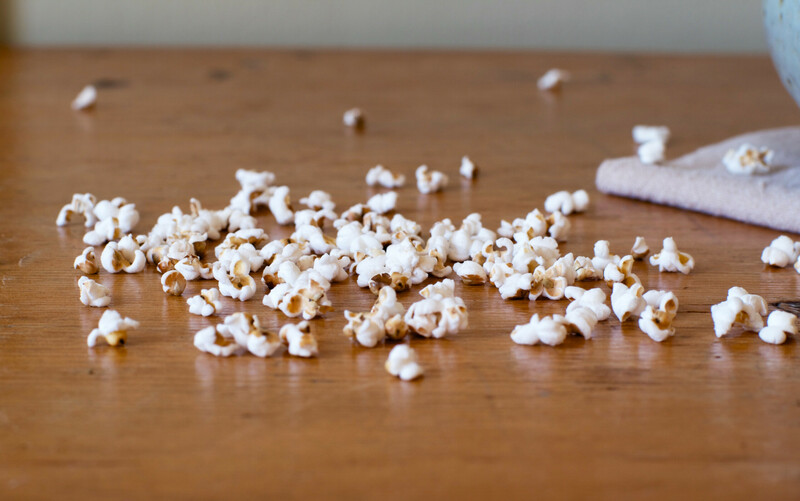 Miniature in size, these tiny kernels are fiber-rich fun treat! Heat a heavy stainless steel pot, fitted with a lid, over medium-high until pot is hot. Add ¼ cup sorghum, cover, and shake often. Listen closely to hear it pop, when the popping slows and there’s 10 seconds between pops, remove from heat, uncover, and transfer to a large bowl. Repeat with remaining ¼ cup sorghum. Mix together nutritional yeast, paprika, salt, garlic powder, and chili powder. Spray popped sorghum with cooking spray, add seasonings and toss, repeat spraying, seasoning, and tossing once more until coated. Shake the pot often to avoid burning and be sure to listen closely as the popping slows the popped sorghum can burn quickly! If you have a large stainless steel pot, feel free to cook the whole ½ cup at once, but I find that cooking in a smaller pan, ¼ cup at a time allows me to better control the cooking and avoid burning. Plus, cooking in batches isn’t a big deal because the whole process goes quickly! Ooooo I’m so trying this. Sorghum is definitely overlooked in the world of grains. I completely agree with you Nicole! I’m currently experimenting with sorghum flour in some baked goods!